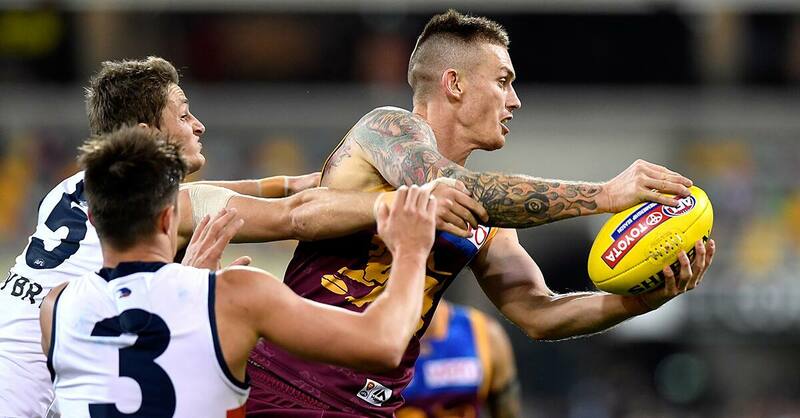 The Brisbane Lions fell just short of pulling off a memorable victory over the Adelaide Crows at the Gabba tonight. The Crows silenced the strong crowd of 20,475 to win 13.15 (93) to 13.10 (88). The swift transfer of play from Daniel Rich's kick-in to Dayne Zorko's goal within four disposals highlighted their want to play at speed. Alex Witherden had 31 disposals, while defenders Ryan Lester, Nick Robertson and Darcy Gardiner held up well. For the Crows, Hugh Greenwood was superb in a forward role, kicking four goals and hitting the post twice, while Matt Crouch (40 disposals) and Rory Laird (29 and a goal) were also brilliant for the victors. Fagan admitted Greenwood got under the Lions' guard after they had put more planning into Jenkins, Tom Lynch and Eddie Betts. Adelaide has a crucial match next Saturday night when it hosts Melbourne at Adelaide Oval, while the Lions travel to Geelong to play the Cats earlier that afternoon. Both matches have big ramifications for the top eight. Three Lions players have been charged from Saturday's match. The Lions fell just short of pulling off a memorable victory over the Crows at the Gabba tonight.